Popular brands of baby monitors may not be accurate in measuring your infant's vital signs, a new study has warned. Researchers said they found that these commercially available monitors - which are not FDA-approved - either never showed there were low levels of oxygen in the blood or did so inconsistently. When it came to testing infants' heart rates, the monitors also often inaccurately indicated low pulse rates. The team, from Children's Hospital of Philadelphia in Pennsylvania, says their finding show that these monitors need to undergo more stringent testing before they're placed in the hands of consumers. There are a growing number of smartphone-integrated baby monitors on the market, which are made to ease the anxiety of new parents. 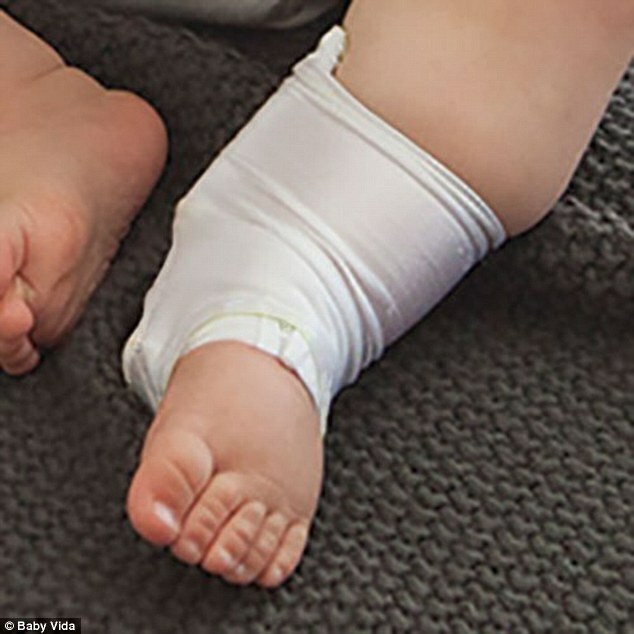 By placing a sock on your infant's foot, sensors will detect heart rate, blood oxygen levels and respiration and alert you via smartphone if anything is wrong. 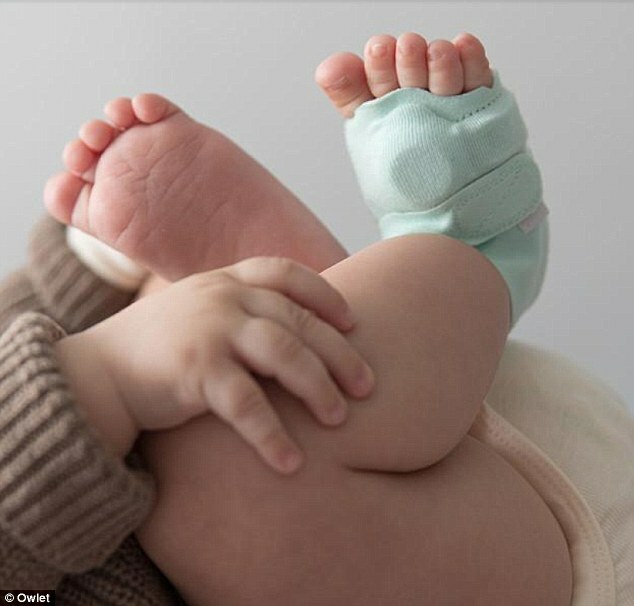 For the study, the team looked at the Owlet Smart Sock2 and the Baby Vida, which are currently the only two marketed baby monitors paired with smartphones that use pulse oximetry, which measures heart rate and oxygen levels in the blood. They tested the monitors using 30 babies who were six months old or younger and in the hospital's Cardiology and General Pediatrics units between July and December 2017. Each of the infants wore an FDA-approved monitor, in this case the Masimo Radical-7, on one foot, and one of the consumer monitors on the other one. During testing for the Owlet, which cost $299.99, both the FDA monitor and the Owlet detected hypoxemia, which is when there are low levels of oxygen in the blood. Hypoxemia can lead to hypoxia, low oxygen in your tissues, which can result in tissue damage and - in some cases - death. However, during at least one reading, the Owlet indicated that five of the 12 infants had normal oxygen levels while the other monitor indicated all 12 had hypoxemia. The overall sensitivity rate of the Owlet was 88.8 percent, meaning it detected hypoxemia but inconsistently. 'I'm a parent with a baby due any day now and I would want it to work 100 percent of the time,' study leader Dr Chris Bonafide, a pediatrician and safety expert at Children's Hospital of Philadelphia (CHOP), told Daily Mail Online. During testing of the Baby Vida monitor, which cost $149, it showed that none of the infants had hypoxemia despite the FDA monitor indicating that they did have it. This means that when it came to the Baby Vida monitor's sensitivity rate, it was zero percent. Additionally, the Baby Vida monitor indicated that 14 of the babies had bradycardia, which is a slower than normal heart rate. However, the FDA monitor showed that all of those patients actually had normal pulse rates. 'If a normal baby's heart rate is 130 beats per minute, then a heart rate of 150 or more would make me run to be the bedside to figure out what is going on,' said Dr Bonafide. 'So for a parent, they might call a pediatrician to figure out what to do because that abnormal heart rate could suggest a number of medical problems that need to be addressed. Last year, the team published an opinion piece in the Journal of the American Medical Association, voicing concerns about the fact that the brands have not been FDA-cleared and the companies have not published data backing their claims of accuracy. 'This study confirms what was in the opinion piece,' said Dr Bonafide. 'Since then we put [the monitors] in the lab, put them on 30 babies and they were found to have accuracy problems. "The Owlet had an 88 percent sensitivity rate in detecting hypoxemia, which is when there are low levels of oxygen in the blood"
All the oxygen in the world in your baby's blood may not help him if you "vaccinate". This oxygen must be passed to critical areas in your child's brain. If "vaccination" restricts this passing of oxygen your baby may get SIDS, strokes and other serious problems.